This stunning Glen Allen home seeks to please. Refinished hardwood floors, 2 master bedrooms, and 3 levels! Custom cabinetry in the kitchen with gorgeous granite counter tops and a breakfast bar makes it feel like home. Lovely screened porch, new carpet, and a finished third floor only add to countless perks of this incredible house. Don't miss out! Handicapped Equipped home - see comments. 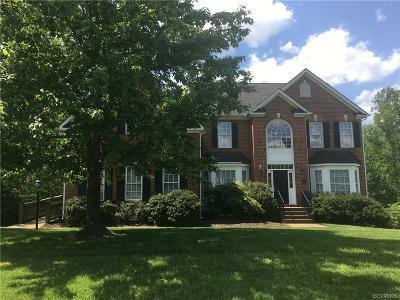 This is best house in glen allen for the money!!! HUGE price reduction 3/27 !!!! Home feels like and show like a model.